Located conveniently in Tenjin, Shopper’s Daiei is a multi-floor inexpensive general goods store with a supermarket and ¥100 shop. It’s a no frills shopping experience with a large selection of clothing, accessories and home furniture- ideal for middle-aged customers or anyone looking to save. In comparison to Tenjin’s stylish shopping hotspots, Shopper’s Daiei is a convenient, cheap and refreshing option. 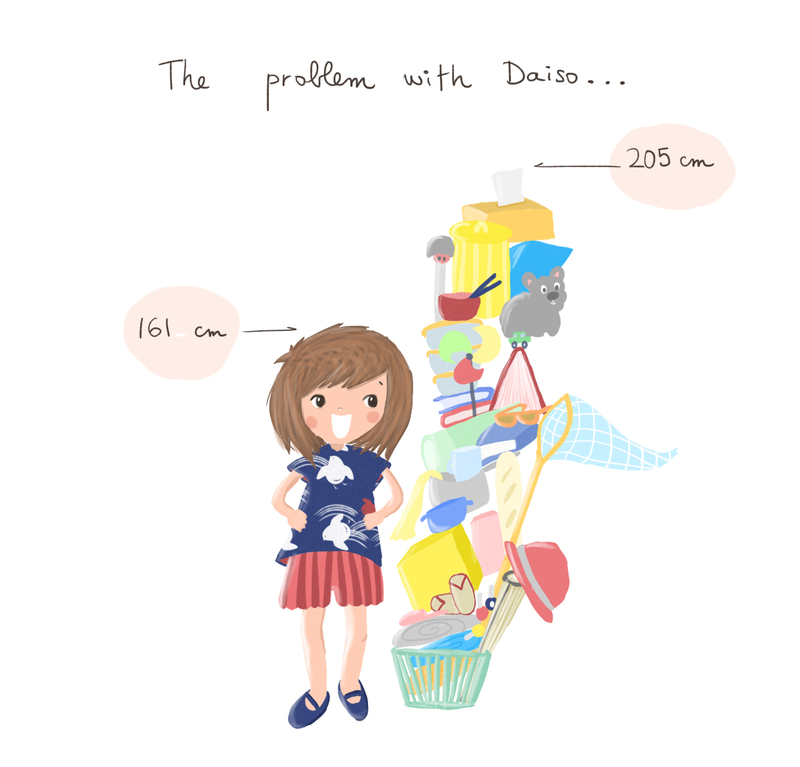 Prepare to get lost in the 7th floor Daiso ¥100 store! Shops: 16 stores, no restaurants. Ginren Card: Only at first floor service counter. Duty Free: Duty free watch store on the 4th floor. 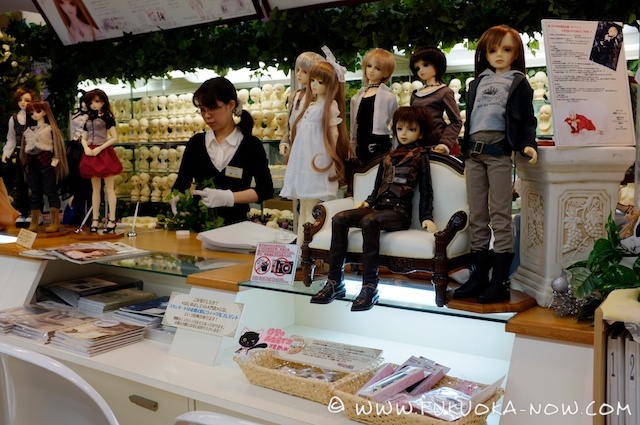 BOX is the perfect shop for those interested in DIY dolls, manga characters and miniature cars. Various parts can be bought separately and then assembled. You will also find painting supplies, and other tools needed for miniature projects. A small corner shop with a selection of cute goods for young ladies and girls: key-rings, towels, bags and more. Fans of pandas will be especially happy! 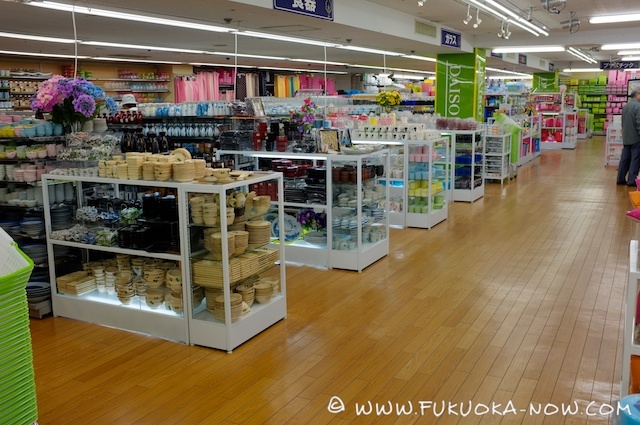 Although there are Daiso stores all over Fukuoka, this branch is especially well-furnished and big– occupying the whole 7th floor. 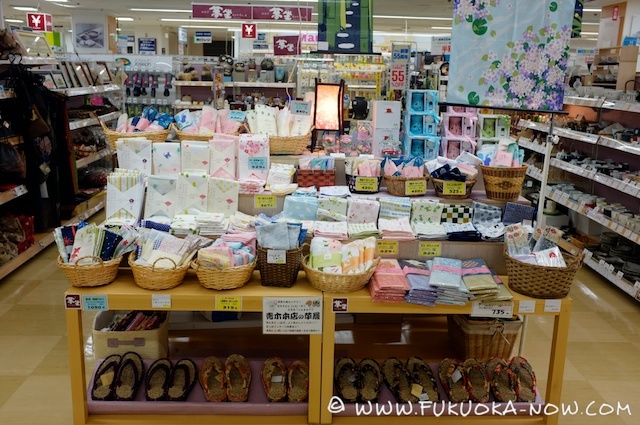 Here, you’ll find everything you need for everyday life, and you’ll never pay more than ¥100 for an item! Browse the range of cosmetics, stationery, kitchen and bathroom appliances, gardening tools, bicycle accessories, snacks and more! 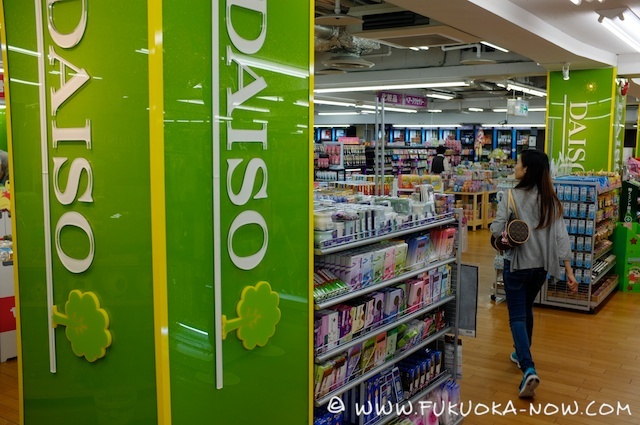 Daiso is a great alternative to Japanese supermarkets and more expensive homeware stores. 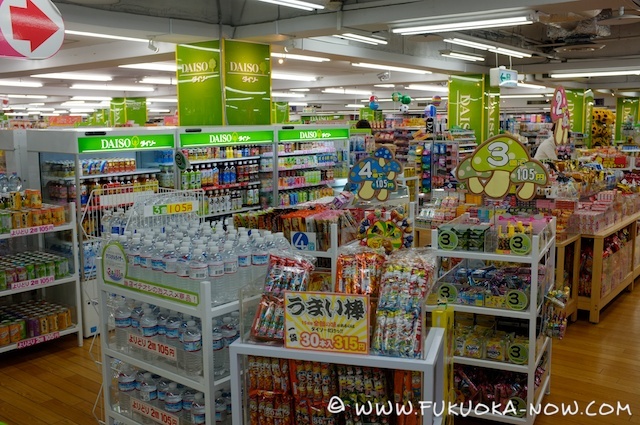 Although the Daiei building has no restaurants, you’ll find a huge supermarket on the B1 basement level. The fresh food corner has a great range of Japanese take-out food including bento boxes, sushi and fried treats– great for a lunch on the go! There’s also a selection of European cheese, from which you could put together a rather substantial looking cheese-board. • Handy rest areas are available on many levels. 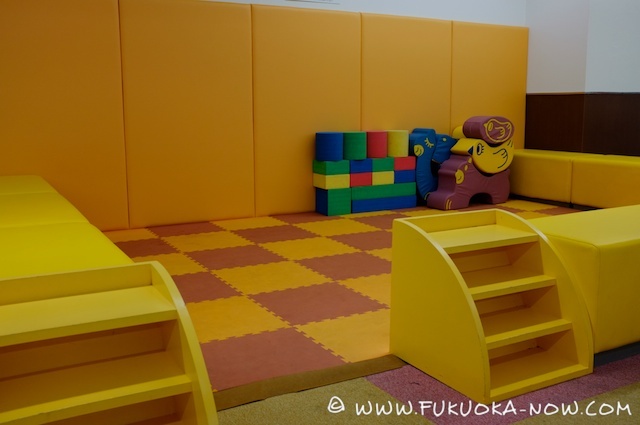 • Young children can enjoy the play area on the 3rd floor. • Have your fortune told on the 6th floor, in front of the escalator. • Visit the handy shoe repair/key copy store on the 7th floor. 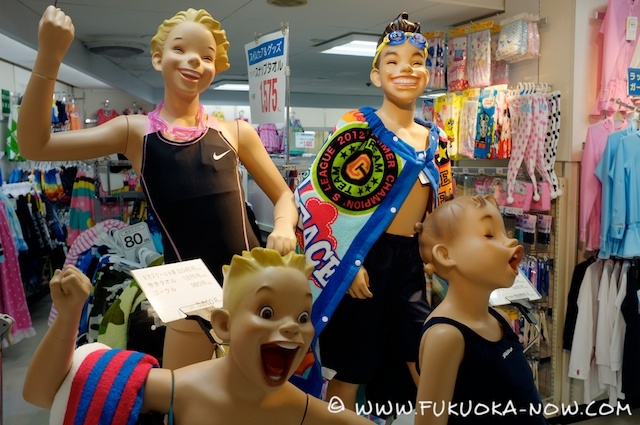 How to enjoy Shopper’s Daiei? 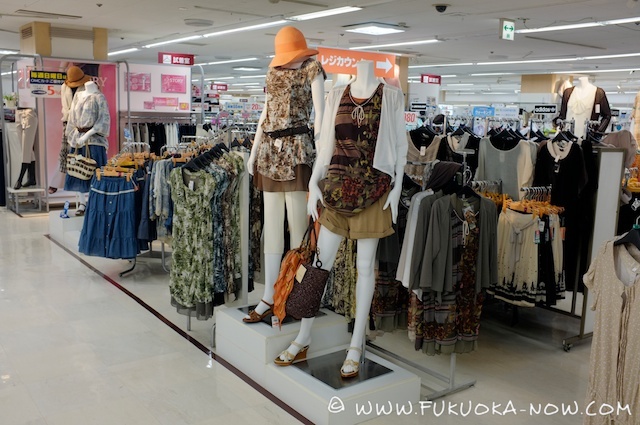 Daiei may not be as stylish as other shopping complexes, but it’s a great place for bargain hunters! The 7th floor Daiso will keep you occupied for hours, with a huge range of items for your home at a price that can’t be beat. The bookshop on the 6th floor is also a good place to spend time, but note that there are no foreign language books. For Children: Kids will enjoy the toy selection at Daiso and the manga figurines at BOX. Younger children will be happy to play at the special kids’ corner on the 3rd floor. On this floor, you’ll also find clothing, shoes and hats for children. 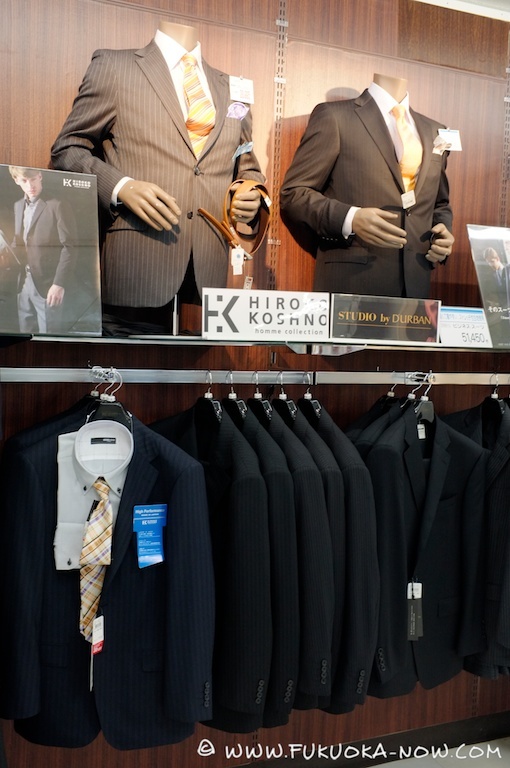 For Men: The 4th floor has a large selection of suits, clothing, shoes and accessories for businessmen. Browse the large selection of business shirts. For Women: Middle-aged women will find everything they need on the 2nd floor, including shoes, clothes, jewelry, accessories and colored umbrellas! 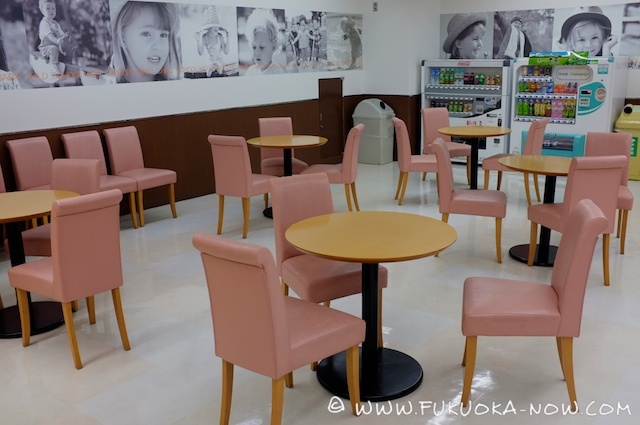 For Tourists: Although at first glance the 5th floor may seem to be full of furniture– it’s a great place to buy real Japanese items at a cheap price. 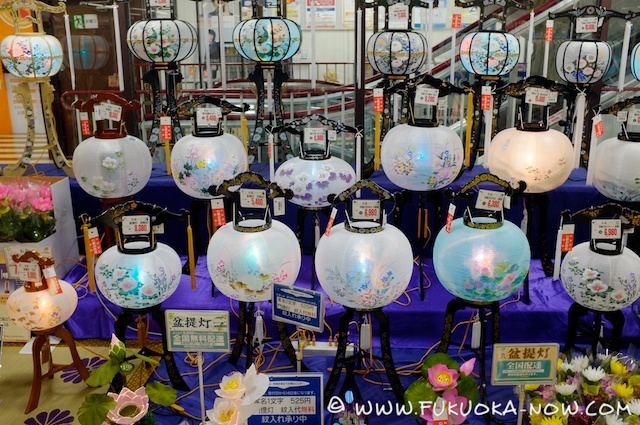 You’ll find traditional Japanese objects such as hand-held fans, furoshiki (printed wrapping cloth), geta (wood sandals) and futon for a reasonable price. 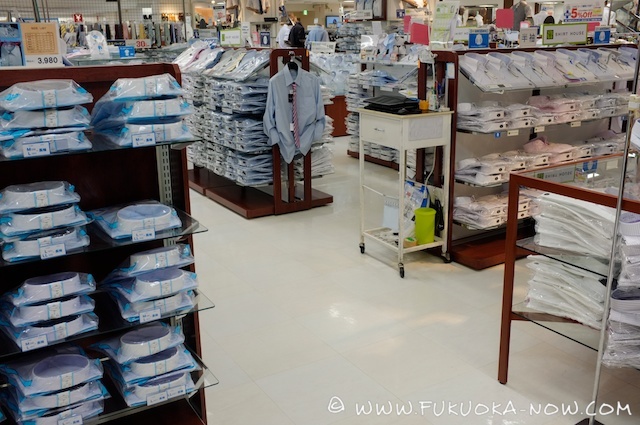 This store is aimed at Japanese people rather than tourists, so you’ll make a saving! What’s nearby? 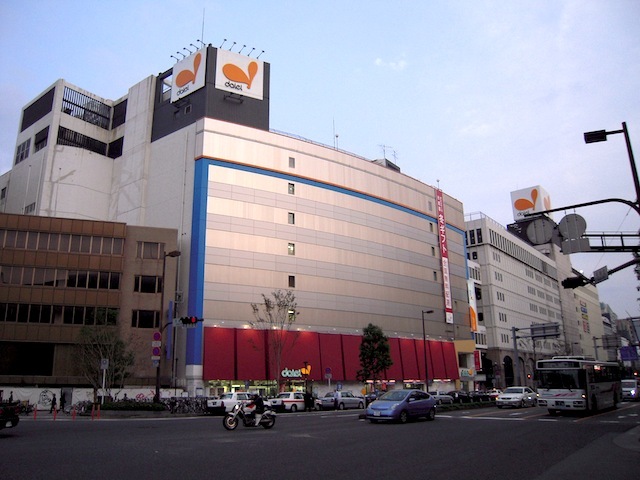 Daiei is located in Tenjin, connected to North Tenjin and Mina shopping centers.